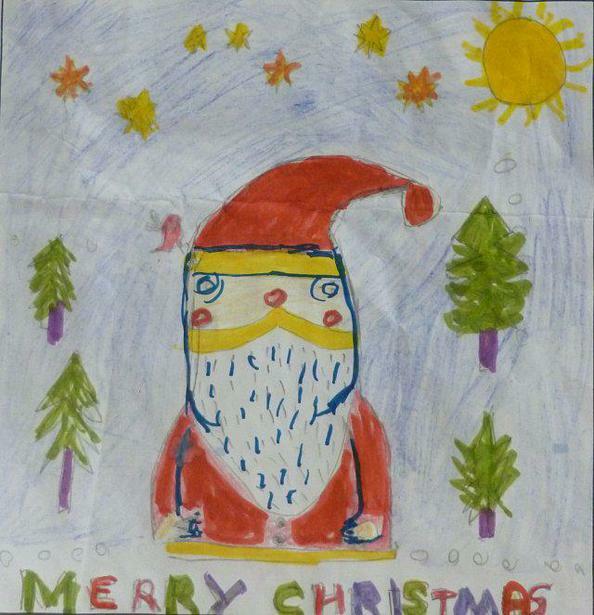 Thank you for all the entries for this years FOBS Christmas card competition. We had many more entries than last year and a wide range of designs and techniques used. Dieon's image will be printed into cards which will be avaliable to buy from the Fobs Christmas Bazar, Saturday 5th December 2015, 1 - 4pm. They will also be avaliable after from the School Office. Congratulations Dieon. Congratulations to our Winners and Runners up. There were three categories. Each had a winner and 2 runner ups. EYFS – Nursery and Reception.